As a gateway to Africa, Europe and the Arab World, a dizzying mix of cultures, history and geographies collide in Morocco. Join us to explore how these forces impact on modern day Morocco and the social and political challenges that arise as it seeks to chart its course between tradition and modernity. 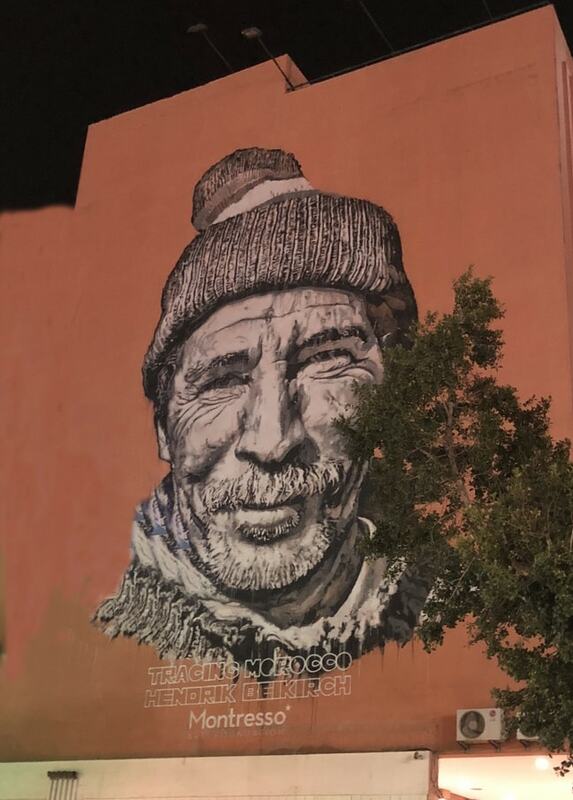 Bled Schizo (“Country of Schizophrenia”) became a popular term among Moroccan artists, musicians and bloggers. It refers to the social, cultural and political confusion experienced as people seek to navigate between the vast differences in lifestyle and expectations between wealthy, educated urban centres and highly conservative rural areas; between what is Halal (allowed) and Haram (forbidden). Situated just 15KM from Europe, 99% Muslim and the second largest African investor in Sub Saharan Africa, Morocco literally pulls and is pulled in all directions. But what does this mean for the country’s politics, economy and society? While the system is comparatively open and stable, religious, cultural and political fault-lines exist between the “traditional” and the “modern”. 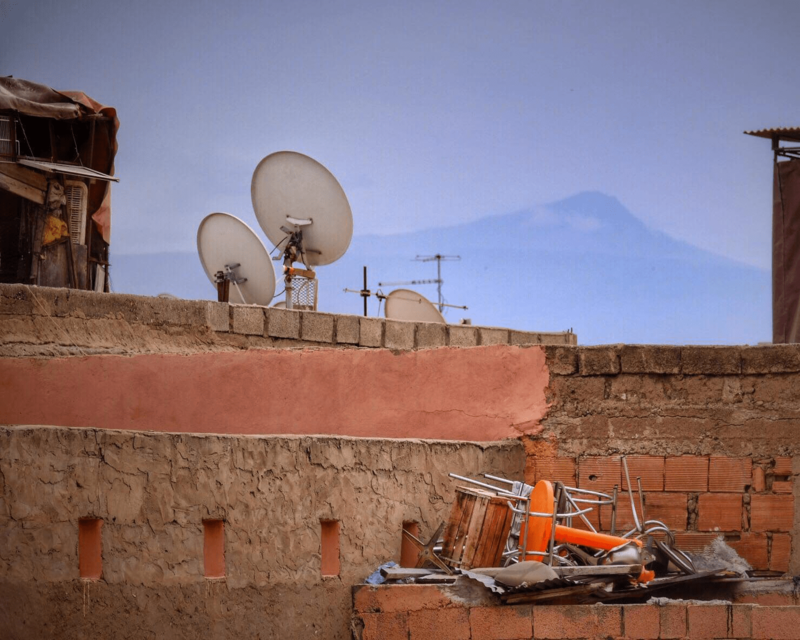 But what does “modern” mean in today’s Morocco? Increased consumerism? Increased use of technology? A modern society based on increased participation and equality? 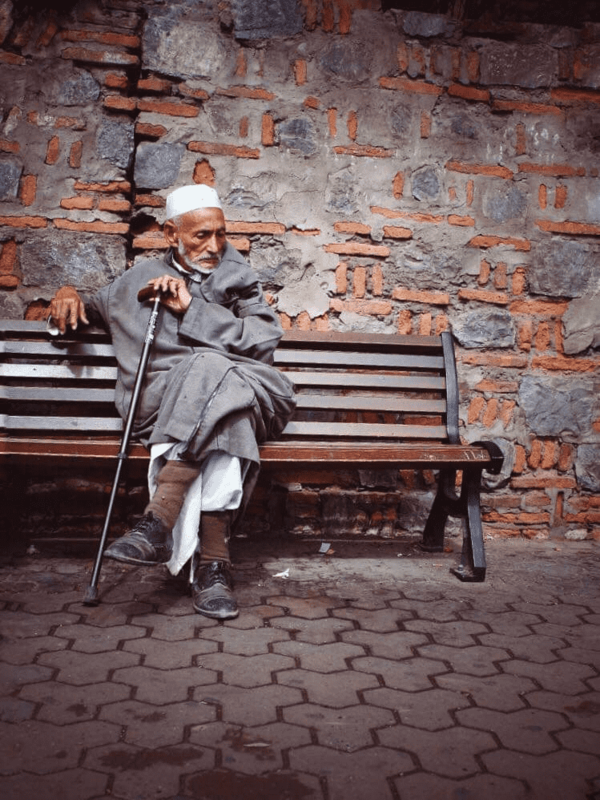 What are the consequences of a generational divide between the young (the majority are millennials) and an older elite which struggles to open up the space for youth political and economic participation? For women who, despite changes in laws, are unable to enjoy their freedoms in this strongly patriarchal society? How can existing minorities maintain their identities and how can new immigrants integrate? A new cultural scene had emerged within the last two decades and the production of festivals, movies, plays and music has increased significantly at the national and regional levels and this could be an opportunity for youth to create their own initiatives and alternatives. Does this constitute a sustainable trend for critical thinking and new horizons or is it a new way for the State to shape public opinion? As well as looking at the interplay between culture, religion and politics, the tour will also examine the more macro level economic and political situation and dynamics: Why has Morocco not significantly improved its rank in the Human Development Index for decades? Why has Morocco chosen to pursue “mega-projects” as a public policy option? What has been their effectiveness and impact on public finances, society and governance? 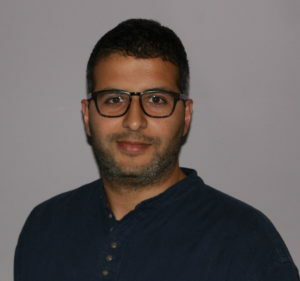 Accompanied by Dr. Saad Filali Meknassi, on this exhilarating tour we will meet with a wide range of academics, politicians, artists, journalists, activists, and entrepreneurs, to help us understand Morocco’s modern political and social environment. We will embrace the country’s richness, as well as its complexities and contradictions. We start our tour in Casablanca, where will meet for lunch at a Moorish café overlooking the sea where we will look at the week ahead. After lunch we will walk through the old Medina, discovering how modern Morocco interacts with its past and how it has evolved politically, economically and socially since independence. Through conversations with academics and journalists, we will spend the rest of the afternoon looking at the current Moroccan economic situation, the impact of the Arab Spring within the country and the expectations of youth for a modern and democratic country. We will continue these conversations over dinner. After an early breakfast, we will head to the capital, Rabat, just over an hour away. 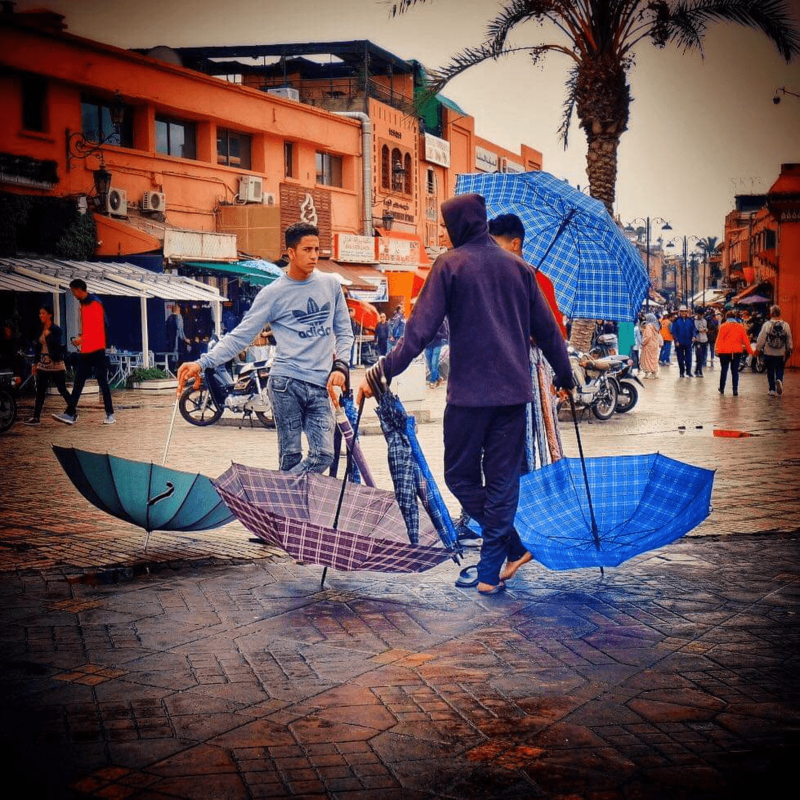 After check-in at the hotel, we will enjoy a guided tour of the city by a prominent Moroccan architect, looking at both colonial and modern architecture, which will show us how the city has changed and the connectedness between the old and new. Included on the trip will be visits to the Parliament, the old central bank building, the new marina and the theatre. At various places along the way, we will have the opportunity to meet with activists and politicians to find out how parliament works and its role in present-day Morocco. We will have lunch in the old Medina, where we will visit some Civil Society Organisations (CSOs) working on cultural exchange to talk about multiculturalism and their work in Morocco in collaboration with foreign universities and institutions. In the afternoon, we will visit Les Oudayas and discuss the history of the docks and old port and neighbouring Sale to learn more about the influence of old Portuguese cities and ports in Morocco and the history of Coastal Piracy in the Atlantic. In the evening we will have dinner at a Moroccan Jewish restaurant, where we will also be joined by an authority leading reference on Jewish history in Morocco. 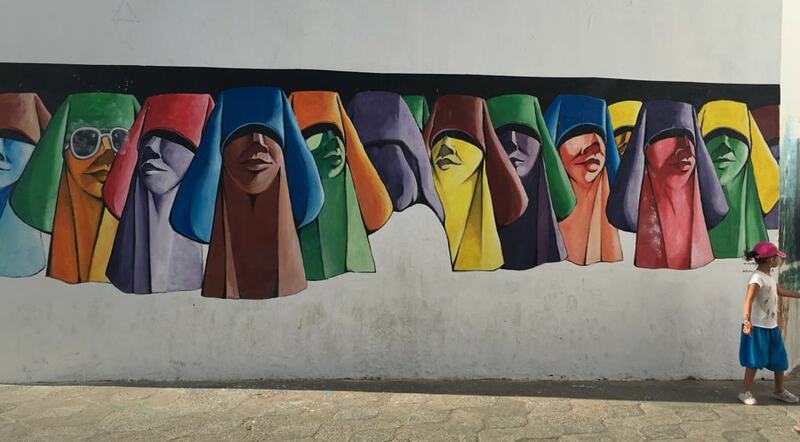 We spend most of the day in Rabat, looking at the journey of the country from Berber origins to present day Morocco and how multi-culturalism and secularism are ongoing debates within the country and are influential within the political arena. We will visit some historical sights (Mohamed 5th Mausoleum and Hassan tower – Kasbah Chellah) to discover more about old caliphates (Almohad Caliphate, Almoravid dynasty), as well as look at the country’s multicultural (Berber, Arab, Muslim and Jewish) patrimony. 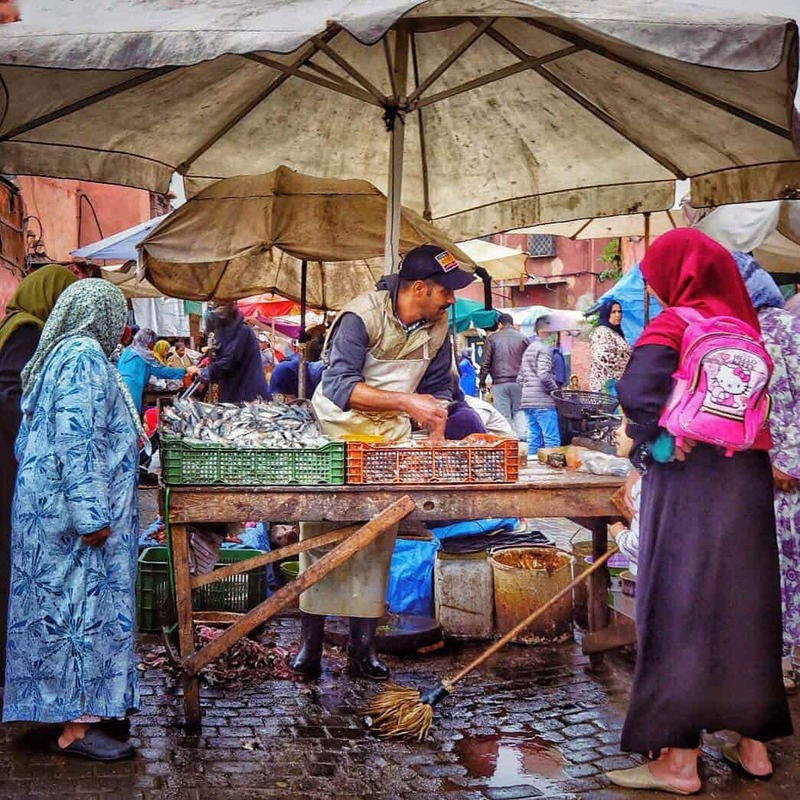 We will be joined by experts who will help us explore how these different communities have coexisted historically and how the relationships play out in modern day Morocco. After lunch, we will visit the Modern Art Museum and discuss Morocco’s current arts and culture scene and why it has grown significantly in recent years. We will spend the rest of the afternoon in the company of activists and experts, exploring the country’s modern arts and Political Islam. We will explore how Muslim countries are impacted by international geopolitics and their implications for democracy, civic space and political participation. The evening is free for you to explore Rabat at your leisure. After an early breakfast we will depart for Fez, a three-hour drive away. We will visit Volubilis on our way to Fez, an outpost of the Roman Empire and UNESCO World Heritage Site. It provides the ideal context to not only look at the past, but also to discuss how Mediterranean relationships are evolving and impacting the South. We will have lunch in Fez and spend the afternoon looking at the rich history of this wonderful and enchanting medieval city, including a visit to the AlQarawiyine Mosque and Medresa, the oldest university in the world and centre of Islamic learning. We will then visit the old medina to explore craftsmanship in Morocco and its role in the present-day economy. We will be joined by one of the representatives of Moroccan Artisans who will discuss both the potential and limitations of the industry in the age of mass production. Over dinner, we will meet with a representative of Fez’ renowned World Sacred Music Festival and discuss how it has been influenced by the city’s heritage. Dinner and traditional entertainment in the old medina. After breakfast, we move beyond the romantic setting, shifting our attention to some of the harsher realities of modern day life in Fez. 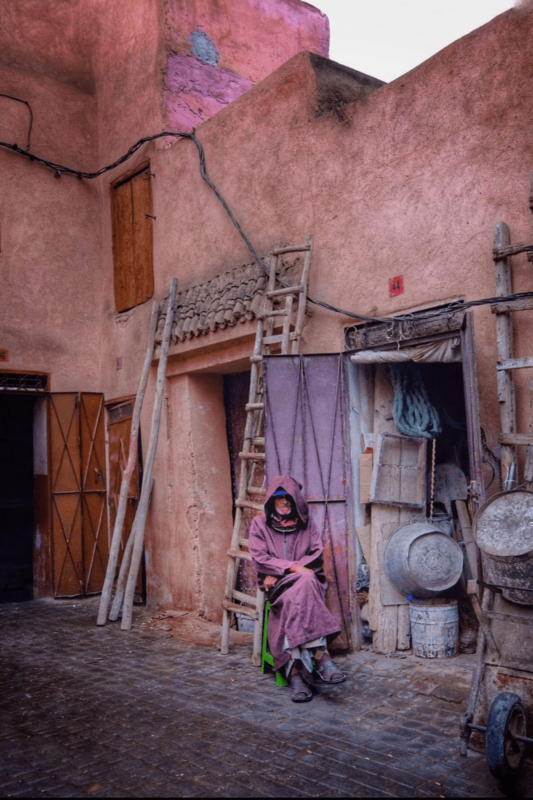 We will explore the restoration of the old medina and how rural immigration within Morocco has put strains on public services within the city. We will then meet with one of the leading women rights organizations in the country to discuss the situation of women in present day Morocco and how they bear the weight of history and culture of the country. We look at the limits for freedom and equality for women, and how younger generations view and experience these in their daily lives. 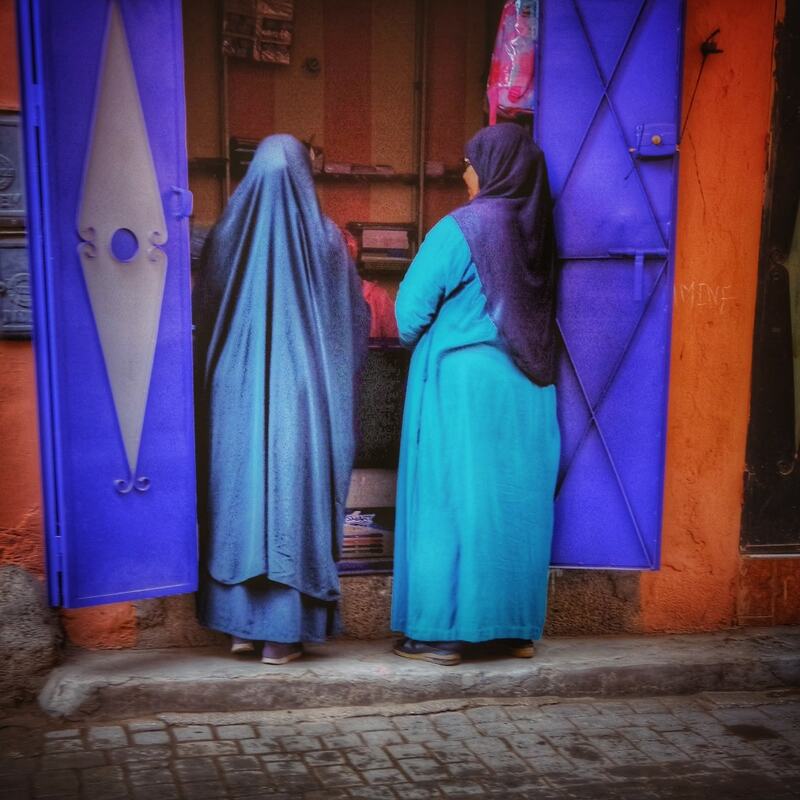 The afternoon is free for you to continue to explore the many sights of Fez at your own leisure or join us on a guided tour to explore some of the more unknown and unusual sides of life in the old medina. In the afternoon we set off for Chefchaouen, a four-hour drive away. Chefchaouen, or Chaouen to locals, is beautifully perched beneath the raw peaks of the Rif and is definitely one of the jewels of Morocco. Chefchaouen is known for the striking blue-washed buildings of its old town and the weaving workshops lined on its steep cobbled lanes. As a town, Chefchaouen presents less challenges compared to a Metropolis, especially because solidarity networks still work within families and local communities, and it also benefits from local governance programmes and local development dynamics supported by different cooperation programmes. This will be an opportunity to discuss with locals about the dynamics of local governance and policies aiming to preserve the environment and mitigate the effects of Climate Change. We will also look at local preservation programmes, the designation of Protected Areas and how local communities interact within these spaces. 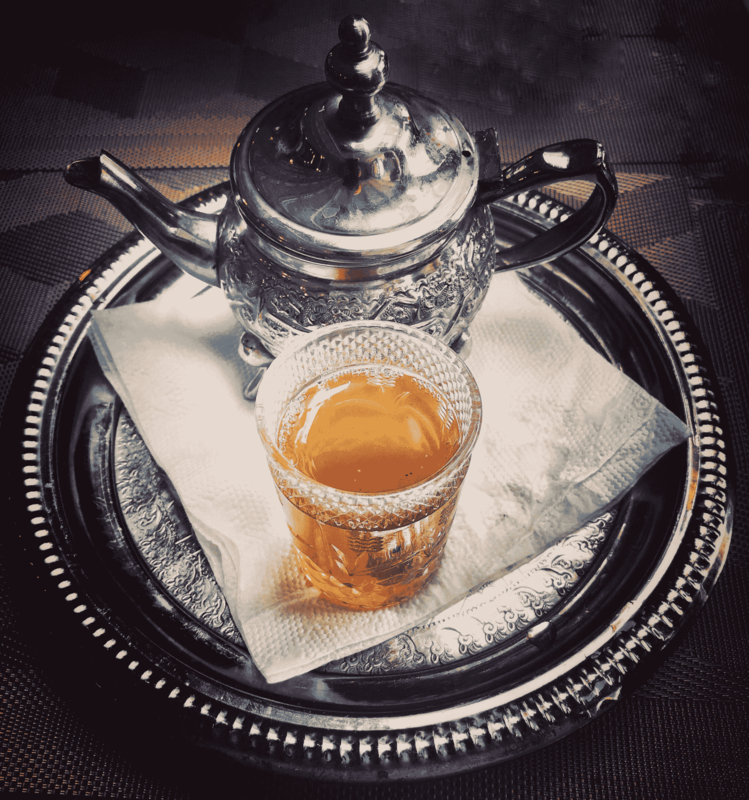 Dinner will be at a restaurant specialising in Morocco’s Northern cuisine specialties. We set off early for Tangier, a two-hour drive away. Tangier is one of the oldest cities of the Mediterranean and its modern history is highly tied to immigration and international relations. Since the 1990s, the city has emerged as the second economic pole in Morocco and it attracts many international firms thanks to its Free Zone and several industrial areas. We will be joined for the day by an international relations expert to look at a variety of issues exemplified by Tangier, including Morocco’s political and economic relationships with both Africa and Europe, the policy of “big projects”, and their impact on trade, immigration and unemployment. Over dinner in the old Medina and overlooking the Strait of Gibraltar and Spain, we will discuss the advantages and challenges of regional cooperation and how these are influencing durably local tourism and its sustainability in times of global tour operators and Airbnb business. Over a leisurely breakfast we will say our goodbyes, reflect on our time together and what the future holds for this fascinating country. Onward departure. All of our tours are dynamic and seek to take advantage of current political events. Thus, final itineraries can be subject to modification. Also, some people we plan to meet might no longer be available or still be in their positions. We also meet with many important and busy people, whose schedules change and with whom we will have to fit in. This is simply the nature of the types of tours we offer and the reality of some of the countries we visit. In all cases, we will seek replacement meetings of a similiar level. If you think there are relevant topics missing from the itinerary which you are interested in, please do suggest them and we might be able to include them, as our tour experts have wide-ranging and diverse networks. If the minimum number of tour participants (6 people) is not reached, New Perspectives Travel reserves the right to cancel the tour up to 20 days before departure (see Terms and Conditions). Please visit our About Us and Frequently Asked Questions for further information on our tours or simply contact us!